Deborah Crowley, creator of FlexEffect, was a professional bodybuilder who became aware her face was showing signs of aging when she was aged about 30. Not happy with what she was seeing in the mirror, Deborah reasoned if she could keep her body young and supple by building and training the muscles, she should be able to apply the same principals to the muscles of the face. The photo on the left shows Deb at the age of 56. For more amazing photos, see the “Before and After” pictures on Deb’s website. (Link will open in a new tab). Deborah practiced isometric exercises for a while, which are strength training exercises that do not increase muscle length while performing the exercise. Isometric exercises feature predominantly in the book “Face Lifting by Exercise For Women & Men Over Twenty-One” by Senta Maria Runge, which is mistakenly considered by many to be the first book written on facial exercising. Although she noticed improvement, Deborah was more familiar with strength resistance training, and decided to devise her own program of facial resistance training. This was the beginning of Flexeffect® Facial Resistance Training by Deborah Crowley. 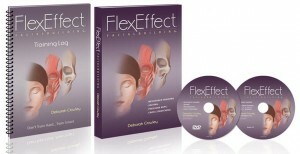 In 2010, Deborah updated her program and launched FlexEffect Facialbuilding 3rd Edition, which had been eagerly awaited for by exisitng users of FlexEffect, as it includes two completely new anti-aging techniques. These are Jolting® for correcting facial bone atrophy and Cross Stretching® to help replace elastin and collagen. The FlexEffect program consists of a 275 page book, a DVD, a training log and a CD. The book covers absolutely everything you need to know about facial exercise, an has an interesting forward by Mark E. McGovern M.D.,FACC, FACP. It is always welcome to read positive views concerning exercising the face from respected members of the medical profession, as so many involved in the cosmetic surgery field are quick to deny that facial exercises are extremely beneficial in keeping the face looking young. As well as describing in detail 30 exercises that target specific regions of the face, the FlexEffect book also contains comprehensive information on the two most recent facial toning methods that Deborah has devised; Jolting® and Cross Stretching®. In addition, you will learn which supplements you should be taking for maximum cell renewal, and which topical agents you must use to achieve the best results possible. This is probably the most complete facial exercise program on the market, and the only one that offers immediate customer support via a forum manned by Deb, her daughters, Claudia and Audrea, and several other certified FlexEffect trainers. This is invaluable, because as your training progresses and changes begin to be visible, you are very likely to have questions that you did not consider when starting out. In the DVD, Deborah and her daughter Audrea demonstrate the correct way to perform FlexEffect exercises. The DVD provides a total of 49 resistance facial exercises targeting individual areas of the face and neck. The CD has a selection of two routines you can follow along to; one lasting for 20 minutes, and the other a 12-minute session for those that are in a hurry. Last but not least, you are provided with a training log. This makes it easy to build up your own routine and track your progress. Furthermore, you will be able to easily see which areas you may be neglecting and therefore focus on those particular exercises. 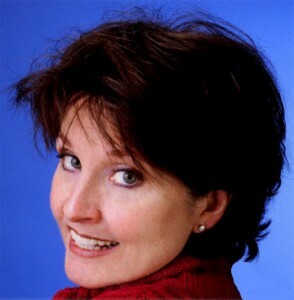 As well as offering her FlexEffect program, Deborah also provides the opportunity to become An FIA Certified Trainer. There are several levels of certification which involve self-training for a specific time and the participation in a facial muscle knowledge forum. Admirably, Deb is a facial exercise “guru” who has done much to promote the credibility of exercising the face by interviewing respected medical professionals and also funding a small study to prove the effectiveness of facial muscle training. The Flex Effect website shows Deb’s photos, and at the age of 62, her appearance is quite remarkable. Through facial resistance training Deb looks at least 15 years younger. On the FlexEffect site, you can also see before and after pictures of others who have reversed signs of aging with the FlexEffect facial exercise program. Additionally, Deborah has a YouTube channel that provides factual information about how facial exercises work. Click here for Deb’s YouTube channel. To learn more about the FlexEffect program, visit Deb’s website.